The Astoria Palace in Rome is really more of a guest house than a palace - but it is a good one and it offers value for money given it’s position in one of the more modern areas. Close to Termini, La Sapienza and San Lorenzo, the Astoria has a computer in each room connected to the internet and for those looking to upgrade, they have a big sister 3 star hotel near the Colosseum - the Hotel Romance. 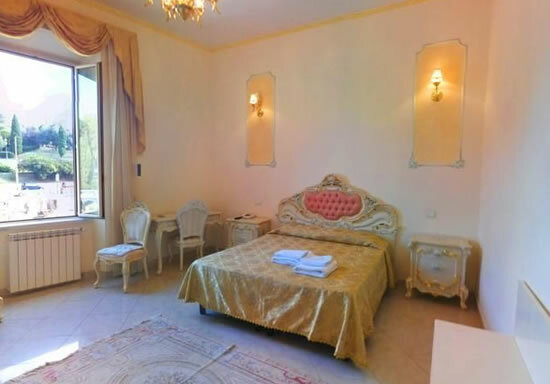 The Imperial Suite Rome is a luxury guest house located in a luxury part of town, ideal for a romantic getaway or for couples looking for a touch of luxury, privacy and tranquillity. The spacious suites come with all the mod cons including internet access, the property is charming in its design and the location on Corso d’Italia allows you to really get the best out of Rome. For self catering apartments in the historical centre of Rome look no further than the Casa Navona on Piazza Navona. Four spacious and soundproofed apartments occupying four floors, the structure is ideal for large parties and the deluxe apartment contains precious art and antique furniture. Wi-Fi and all mod cons also come as standard. This recently restored residence located in a historic palazzo in Prati - one of the most upmarket and desirable areas of Rome is a real gem. Beautifully and comfortably decorated & furnished, guests can enjoy high quality surroundings but presented in a cosy way. The rooms boast free Wi-Fi, en-suite bathrooms with shower, flat screen TV, air-conditioning, a safe and hairdryer. Expert and friendly staff are on hand to help with your stay including offering daily room cleaning and arranging tours and travel. The Prati area is full of beautiful shops and restaurants and guests are only 5 mins away on foot from St Peters Basilica, the Vatican Musem and Sistine chapel. The residence is also only moments away from Metro Line A which means that within around 10 minutes guests can be in Piazza del Popolo or the Spanish Steps and see all that the Eternal City has to offer. 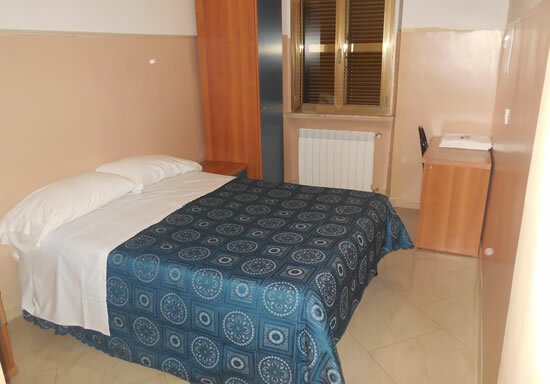 Inn Central, Rome is a cheap guest house in Rome that offers cheap, modern and comfortable rooms near Termini Station and Vittorio Emanuele underground station. 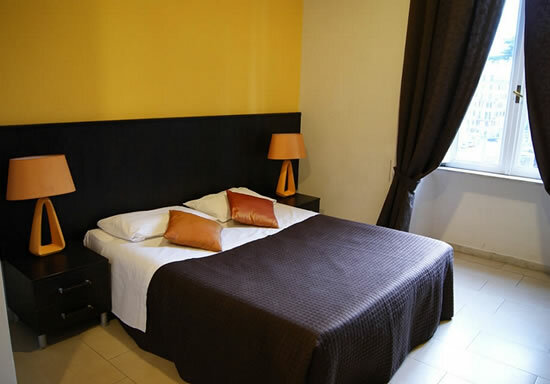 Recently renovated, the cheap clean and spacious rooms come complete with a private bathroom with hairdryer, air-conditioning and central-heating, flat screen TV, minibar, safe and free Wi-Fi high speed internet access. Available in single, double, triple or mini-apartment varieties, these cheap rooms are of a high quality and excellent value for money. 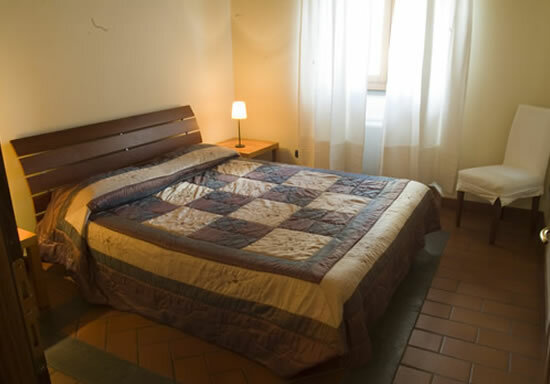 This B&B is also perfectly located near the transport hub of Termini (the home of overground trains to the airport, both underground lines, huge taxi rank and main bus station) and within a short distance of the Colisseum, the Roman Forum, Piazza Venezia, and the magnificent Basilicas of Santa Maria Maggiore and St John Lateran. This B&B truly has everything you need and at a very affordable price. 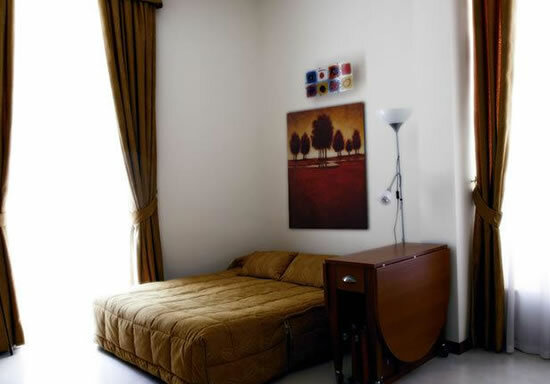 This warm and homely apartment consists of a delightful living room (with a sofa bed) complete with kitchenette, a large bathroom with shower and a very wide and comfortable bedroom with a king size bed. Linen and towels, a baby's cot and wi-fi access are also provided. The decor and furnishings are soft and welcoming and they are presented in an elegant and tasteful style. Perhaps the best thing about this apartment though is its location. Situated in the very heart of Rome, guests have easy access to bakeries, grocers, supermarkets, bars, restaurants, ATM, hairdresser, public transport and much more. It is also only 9 minutes walk to the Trevi Fountain, 6 mins walk to Piazza Navona, 4 mins walk to the Pantheon, 10 minutes walk to the Spanish Steps and around 20 minutes walk to St Peters and the Vatican. These quality self-catering apartments in the center of Rome have recently undergone extensive renovation and refurbishment to ensure that the guest can delight in every modern comfort and yet still be immersed in the very heart of one the most ancient cities in the world. The apartments are decorated in a plethora of styles 'Romantic' to 'Exotic' and are equipped with private bathroom, air-conditioning, colour TV, minibar, safe and free Wi-Fi. Various services are also available for guests including cleaning, babysitting, transport, booking and even personal shopping. 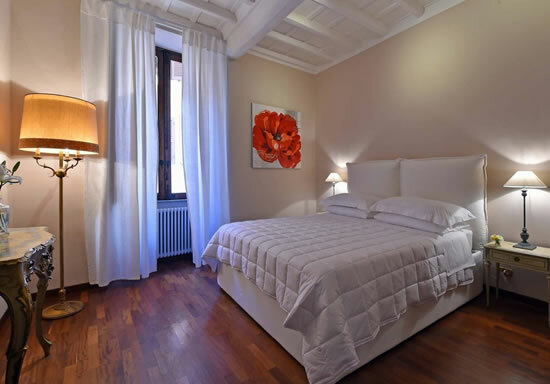 Located in Piazza Navona, one of the most famous piazzas of the world, guests are within walking distance of Pantheon, Fontana di Trevi and a whole host or historic and artistic sites. 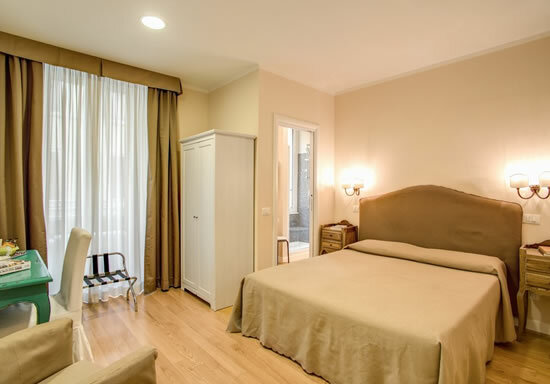 Rome city centre apartment converted into a small but luxurious guest house with comfortable, clean and spacious rooms and a discreet yet personalised service offering excursions and limos upon request for a fee. 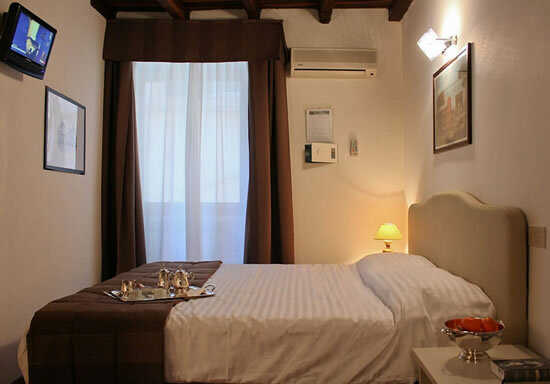 Located near Via Veneto in a very affluent part of town, rooms start at €120 a night. The Torre Colonna Guest House must be the most unique and must-see new guest house to grace the eternal city. 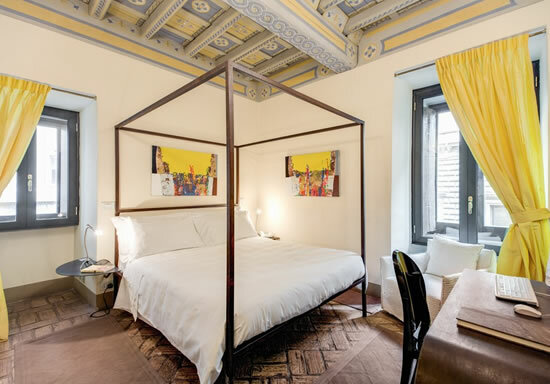 Occupying a 13th century tower of the same name, this exclusive guest house has five luxury suites adorned with works by the darling of contemporary Italian art, Natino Chirico, and has a Jacuzzi on the roof looking out at The Victor Emmanuel II Monument just 100m away. 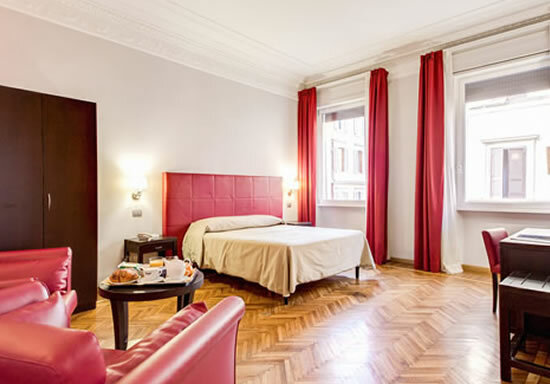 New guest house in the heart of Renaissance Rome by the Spanish Steps, the Condotti Inn has a modest five guest rooms both moderately priced and well furnished with modern convenience, style and an attentive level of service. The location is pretty much unbeatable and the guest house is named after the nearby street where all of Italy’s top fashion designers have their Rome boutiques. 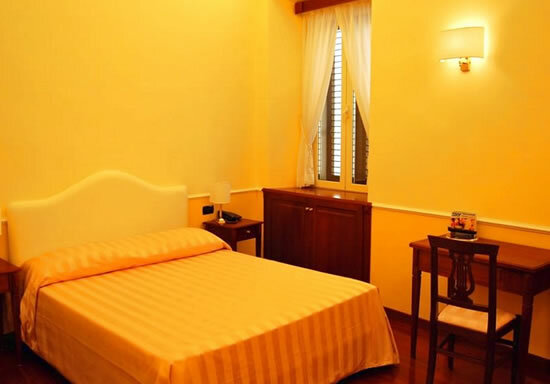 The Roma Trasteverina B&B is a top quality bed and breakfast, as the name might suggest, located in the Trastevere neighbourhood of Rome. A plentiful breakfast, personal service, value for money and small charms such as 32’ LCD TVs in every room are all promised as tis new structure finds its feet in Rome’s most trendy of suburbs. Small and inviting guest house on Piazza Risorgimento - literally in the shade of the northern Vatican wall and minutes from the entrance to St Peter’s. With three double rooms and one self-sufficient suite with kitchenette and separate entrance this newly refurbished guest house offers different options but is particularly ideal for more mature guests. Newly refurbished Guest House in the centre of Rome on Via Urbana - a characteristic side street running parallel to Via Cavour - promising top quality accommodation at budget B&B prices. The Suburra / Monti neighbourhood is very Roman and is home to several cheap restaurants and Iris Pubs, not to mention a Colosseum. 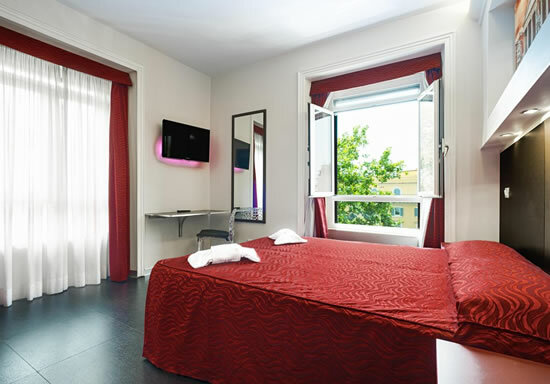 Cressy Hotel Rome is a cross between a hostel and a budget hotel, offering simple no-frills accommodation at bargain basement prices. 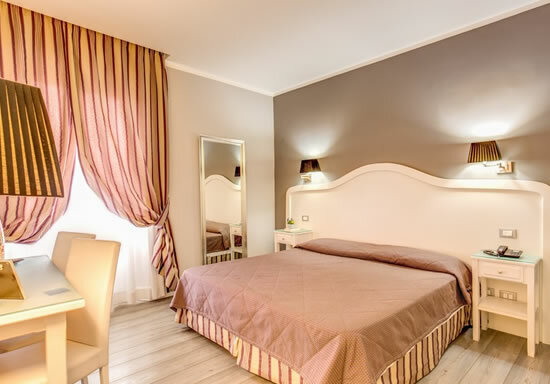 Located just seconds from Termini Train Station, this family run accommodation is comfortable and secure, with shared bathrooms or optional en suites for a little extra, and has rooms large enough for up to four guests at a time. 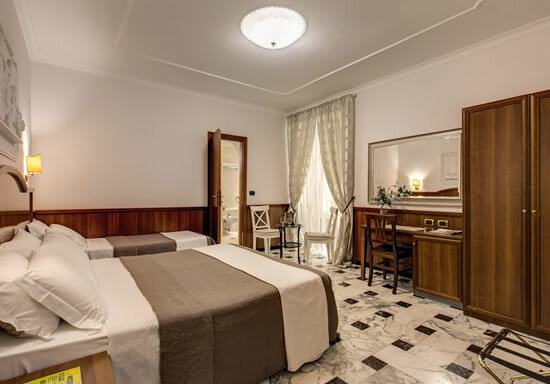 This luxury guest house by the Spanish Steps in Rome offers a truly uncompromising sojourn in the eternal city, with the convenience of being in the heart of the historical city and the luxury of all you could desire within the property - including Jacuzzis in the suites! Should you choose to venture out in the evening, the Spanish Steps are one of Rome’s most popular hang out spots for locals and tourists of all ages. A modern budget guest house just off Piazza Vittorio in Rome’s city centre, the Auditorium di Mecenate offers modern aesthetics, swanky LCD TVs and breakfast in bed (in the absence of a breakfast room) all at value for money rates. Newly opened, this accommodation is of a higher standard than many Rome budget hotels and the location is ideal for anyone. 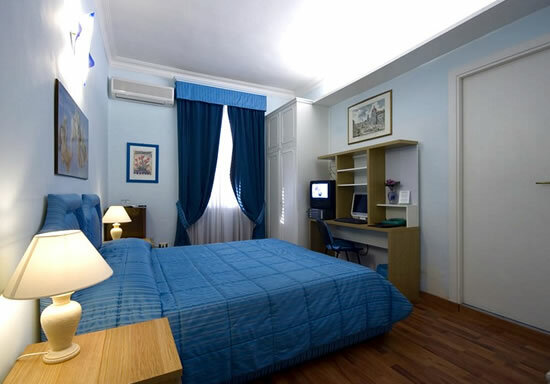 The Nakissa Inn Rome is part of the Matisse group of accommodations in Rome recommended by the New York Times. It’s easy to understand why, with the Coliseum lying just 15 minutes walk away. 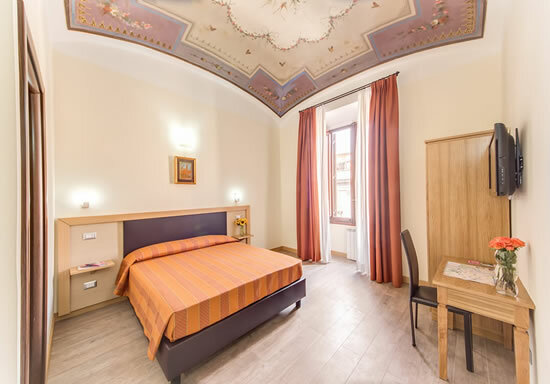 This guest house is also within walking distance of the Trevi Fountain, the Imperial Roman Forum, the Opera House, the Quirinale Palace, the Basilica of St Mary Major and many more major tourist attractions. 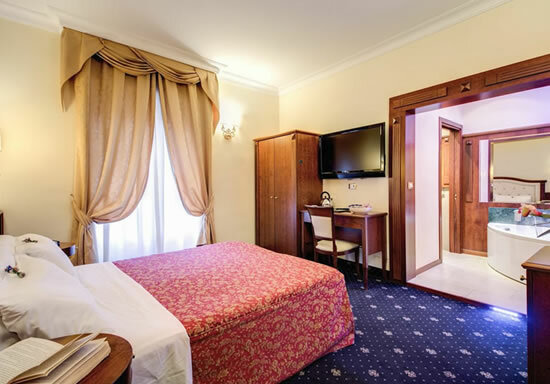 The Nakissa Inn is also within walking distance of both of the city’s underground lines which means that guests can actually travel all over Rome in a matter of minutes. 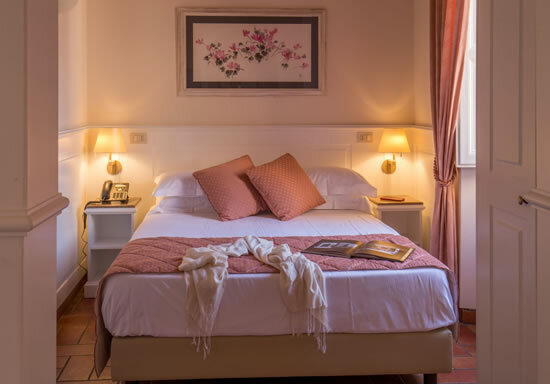 The accommodation itself is elegant, clean and comfortable and occupies a 19th century Italian palazzo with sheltered internal courtyard for guests use. The Nakissa Inn offers 6 comfortable rooms in a variety of sizes, each equipped with a host of mod cons including air conditioning, private en-suite bathroom with shower and hairdryer and even free Wi-Fi internet access. The multi-lingual staff are also on hand to offer a whole host of services such as childcare and even currency exchange. This is a property not to be missed.